Let GearBrain get you up to speed on what you need to know about smart security cameras for your home. Installing security cameras in your home used to be a costly and time-consuming undertaking. You would have to go to a security specialist, who would arrive with ladders and install wired cameras which required holes drilled for their cables, mounting brackets, and additional hardware to stream their feed to your television, or a dedicated monitor. But now, in 2019, the process is much simpler. While commercial-grade security systems like those described above still exist, and could be installed in your home, there are many simple cheaper, consumer-friendly alternatives. Companies like Google-owned Nest, Netgear-owned Arlo - plus cheaper options like Wyze - all offer cameras with various abilities and prices. Some have advanced motion detection and facial recognition, while others tap into broader smart home systems like Amazon Alexa, Google Home, Apple HomeKit and IFTTT (If This, Then That). This should be your starting point when it comes to smart home camera - do you want to install them inside, outside, or both? Inside cameras tend to plug into a wall outlet, while some outdoor cameras feature rechargeable batteries to save you the hassle of routing power cables through external walls. Outdoor cameras offer a degree of weather protection and water resistance, whereas indoor cameras do not. Indoor cameras are generally a bit easier to set up, and are simple to relocate throughout the home. But they can make it look like you are spying on your family or housemates, as no matter how friendly the camera looks, seeing one staring at you is always somewhat unnerving. When positioning a camera outdoors, you must be aware of potential theft or tampering - fixing a camera high up, out of reach is best, but remember you may need to access it to recharge the battery every few months. Many smart home security cameras record their footage to the cloud, where you can view it via a web browser or smartphone app. This is convenient, but often comes as part of a monthly fee (see question six) and some users may not want their footage being uploaded to the servers of a company they don't trust. Arlo cameras record footage to the cloud (where it is held for free for five days) but their base station also lets you attach USB storage or slot in a microSD card, giving you the option of local storage too. 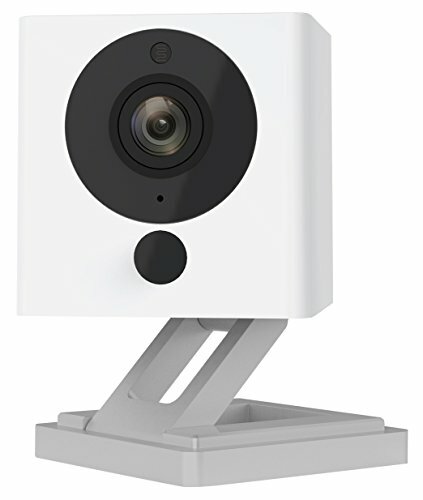 Cameras by Wyze Cam also offer the choice of cloud and local storage, as do options from D-Link, Honeywell, Netatmo and iSmartAlarm. More expensive cameras from the likes of Nest, Hive and Amazon tend not to offer local storage. This means you'll need to accept the footage is being uploaded to a server (but not seen by anyone but you, all being well) and you will need to place the camera within range of your Wi-Fi router. What can the camera see? Does it pose a privacy concern? There are several things to consider when choosing a location for your security camera. Naturally, you will want it to have a good view - of your front door, say, or of a gate leading to the garden. You will also want to locate the camera away from the reach of anyone looking to steal or tamper within it, yet in a place which is easy for you to reach when you need to recharge the battery (should you opt for a wireless camera). But, aside from all this, you should think about the privacy of your neighbors. Does the camera look onto their land, or perhaps even through their doors or windows? For those living in apartment complexes with shared areas, this can be a tricky situation to get right and keep everyone happy. If in doubt, speak to your neighbor - perhaps even show them an example of what your camera can see, then ask if they are fine with that view being recorded. Are monthly subscriptions worth the money? A lot of smart home security cameras can be bought with a subscription package which adds extra features and stores more recorded footage in the cloud. For example, without paying the subscription fee Nest's indoor and outdoor cameras only send you a screenshot, taken when movement is detected, and these images are only stored in the cloud for three hours. So unless you log in and grab that image quickly, evidence of an incident like a burglary would be lost. Instead, you need to pay for Nest Aware, which starts from $5 a month. This records continuous video, 24 hours a day, and stores footage in the cloud for five days. This subscription also unlocks extra features like 'intelligent alerts' and 'activity zones', which help to fine-tune what will cause the camera to alert you and start recording. Alternatively, Arlo's Basic plan is free and stores your camera's recordings in the cloud for up to seven days; or you can connect your own storage to the base station to save recordings locally. This is a pretty good deal - seven days of recordings saved in the cloud for free - when you compare it to Nest's lack of free functionality. Another hidden cost to be aware of is how many companies charge more per month if you have multiple cameras, or if you want longer access to stored video. What other smart home devices is the camera compatible with? 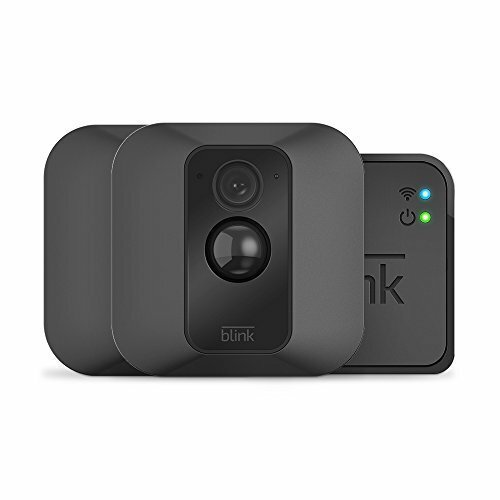 Finally, it is worth understanding what smart home systems and applications the camera you want to buy will connect to. Many feature an Amazon Alexa skill, which means you can say something like "Alexa, show me the front door" and a live feed from the camera located there will show up on your Echo Show or Echo Look smart display. Nest cameras perform similar trick, but instead use the Google Assistant and the Google Home Hub. Say: "Hey Google, show me the front door" and the live feed from your Nest camera there will appear on your Home Hub, or on the TV with a Google Chromecast connected, if you so wish. Many smart cameras also connect to IFTTT (If This, Then That), the smart home automation platform. This helps the camera communicate with other devices in your home; for example, you can set IFTTT to switch on an outdoor smart light when a camera overlooking the area spots movement at night. For more information on what smart home devices work with Amazon Alexa and the Google Assistant, check out The GearBrain.